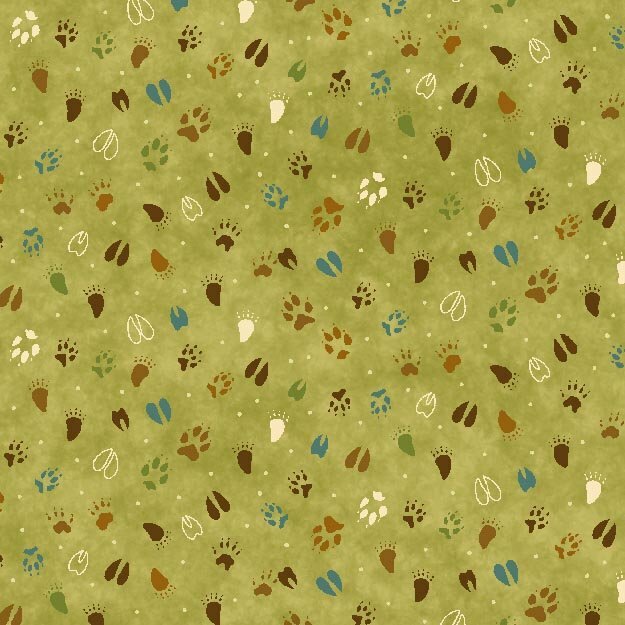 Small woodland animal paw prints tossed on green background. 100% cotton. 43/44"